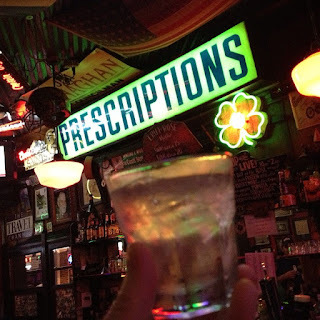 This blog is my friend Jaye's suggestion, although my colleague, Steve, is headed to NOLA later this month. New Orleans is one of those places that you must visit at least once. Here are my faves from many trips over the years! Truth be told, I was terrified that I would be disappointed with this place. 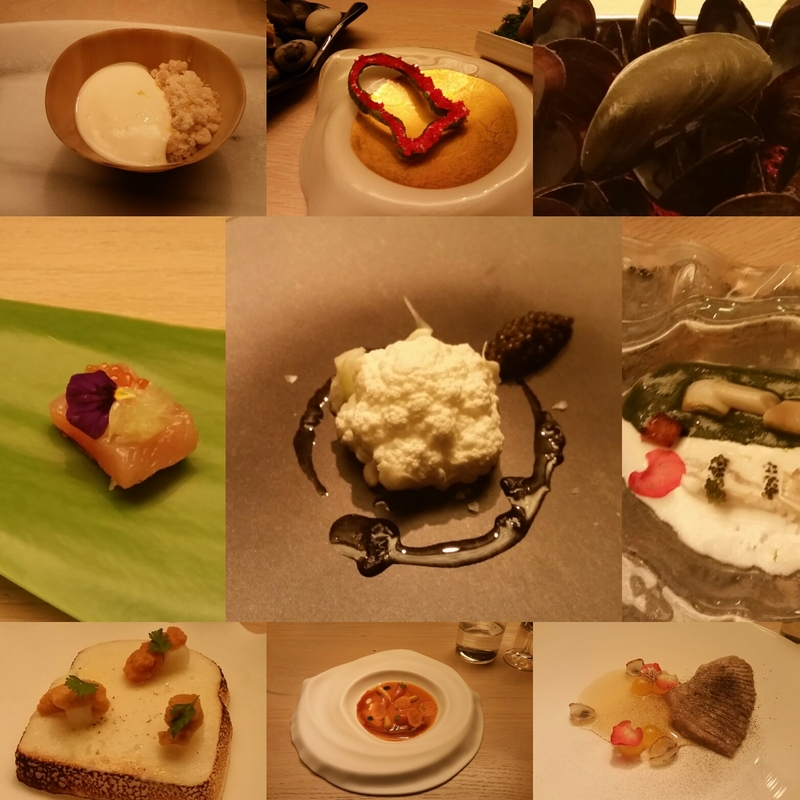 So many times, you go to the celebrity chef places and the hype does not match the experience. With Emeril's, I was not disappointed. The location is beautiful, service stellar, and food fantastic. Part of Chef John Besh's restaurant group, August is the more formal older sibling of Lüke, the louder, brighter bistro. Both provided excellent service and well executed dishes. At August, the foie gras three ways was delicious, and at Lüke, incredibly good fried oysters and raw bar. 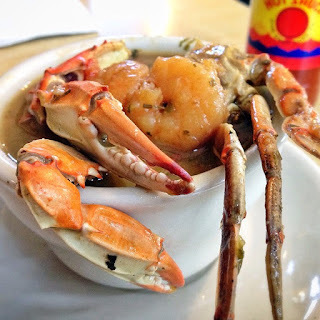 Great place to get small dishes to share, like cured meats, rabbit, crawfish pie, okra, and other down home Cajun cuisine in a modern, relaxed environment. They have a lot of local brews and truly strange cocktails. Do not try the beet juice cocktail. I don't know what I was thinking. 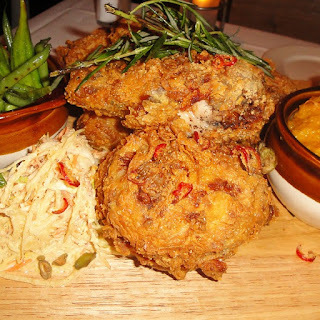 Beautifully presented food, hip atmosphere and a more adventurous menu than most places in the French Quarter. 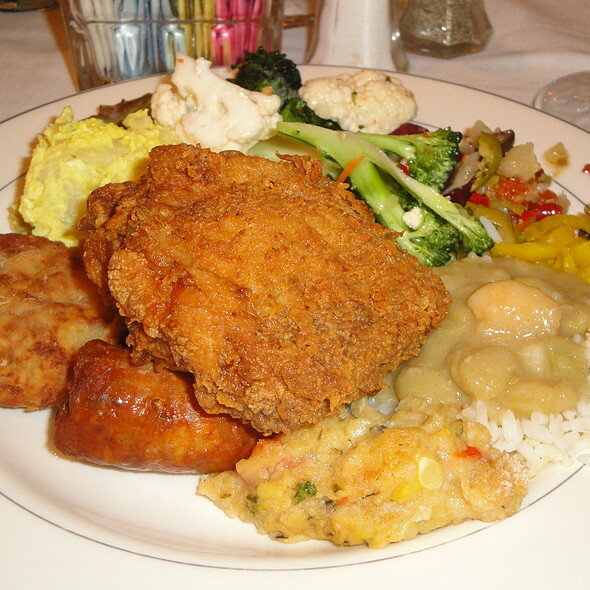 Traditional soul food from the original celebrity chef of soul food. Mrs. Leah Chase visits the dining room regularly, and while we didn't get to talk with her, we did see her hovering during the lunch buffet. Darn good fried chicken. I love this place and try to visit every time. It is classic, old school N'awlins fine dining. I love the souffled potatoes, turtle soup, and any of their fish or shrimp preparations. Guys must wear a jacket. Ask for the cafe brulot at the end of the meal. THE place for Sunday Jazz Brunch. It's an elegant, classic, well-deserved destination restaurant. Save room for the bread pudding. Thrilled to find this locals' place: Sunday brunch here is delicious, inexpensive, and you really get a peek into local life. A great local bar where you meet REAL LOCALS! Incredibly good value on drinks, especially since you're only one block off of Bourbon Street, and not a single neon blended drink to be found. Once when we visited, we met retired twins from Tennessee heading to Texas for NASCAR and a local parish Justice of the Peace who sang Irish songs. So cool. This is the place where EVERYONE goes to get beignets and chicory coffee. It is a bit of a tourist trap, but that doesn't make the beignets any less tasty. Word of warning, do NOT wear black to this place. You will be dusted with powdered sugar, no matter how careful you are. Also, coffee refills are NOT FREE so be careful when the server asks you if you want a refill. And bring cash. Classic New Orleans for jambalaya, etouffee, red beans and po'boys. Expect a line at lunch time--just get in line, belly up to the counter and order some down home comfort food. My first time, I got the oyster po'boy but really wanted the combo platter, which is what Jim had. Since then, I seem to repeat the po'boy, but Jim usually repeats the combo, so it's all good. Sharing is caring. Yes, it's been on a bazillion travel shows, but it's still pretty cool. Hard to get a seat at the actual bar, though, so be patient. This post first appeared on the Alice's Restaurants blog. All photos by me unless otherwise credited, usually to Jim Anderson because he's there eating with me. My friend, Laura, and earlier, my friend, Josh, both asked for recommendations for the DC area. I gave each of them a far too long list of suggestions for far too few meals! What happens at the Hay-Adams is Off the Record. Go for large classic cocktails and clubby atmosphere. minibar is a bucket list restaurant. barmini is far more affordable to get a glimpse of what's going on at minibar. 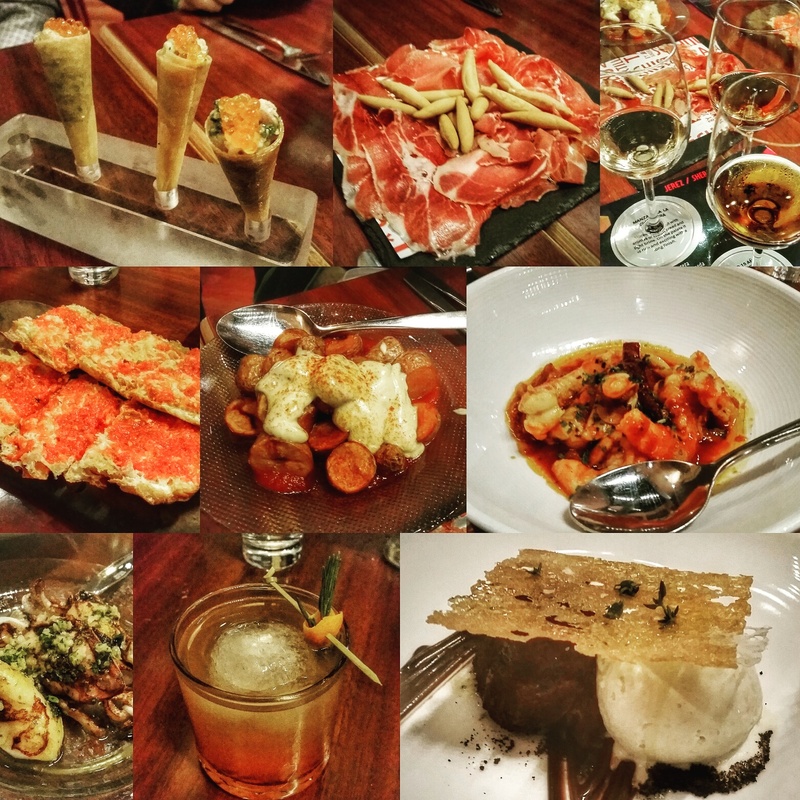 Go to barmini for a creative cocktail and some noshes; go to minibar for a once in a lifetime meal. Another José Andrés concept, I prefer this location (and the Las Vegas Jaleo) to the other locations. I always order a jamon, the pan con tomate, and patatas bravas. Often I'll add in the pulpo, and maybe some liquid olives. Yes, it's a chain, but I like it. You have to be family or practically family to eat with me here, though. It's not pretty, but it is delicious. Great collection of local food and product vendors, and fun to graze for a leisurely lunch. Skip right on past the "American" food station of chicken strips and burgers and browse the several different food stations representing various regions of indigenous cultures. I usually get the sampler plate, which includes your choice of four different side dishes from any region you like. Near the White House, this classic restaurant was long the hang out of politicos for long lunches. I think almost everyone here is a tourist now, but it still has a good classic vibe. They are famous for the Oyster Riot in November, and their oyster happy hour from 3-6 pm. Hip place at the International Spy Museum, this is a good place for cocktails and appetizers after a day of exploring the Penn Quarter area. A healthy, but not long walk from DuPont Circle, this restaurant serves a beautiful omakase dinner, a Japanese prix fixe option. Great for happy hour and a overabundance of vodka choices. Caviar Mondays! I'm usually at the Old Town Alexandria location, where the bartenders are skilled and the oyster selection is great. Charming little French restaurant near Old Town Alexandria with an affordable three course prix fixe menu every day. 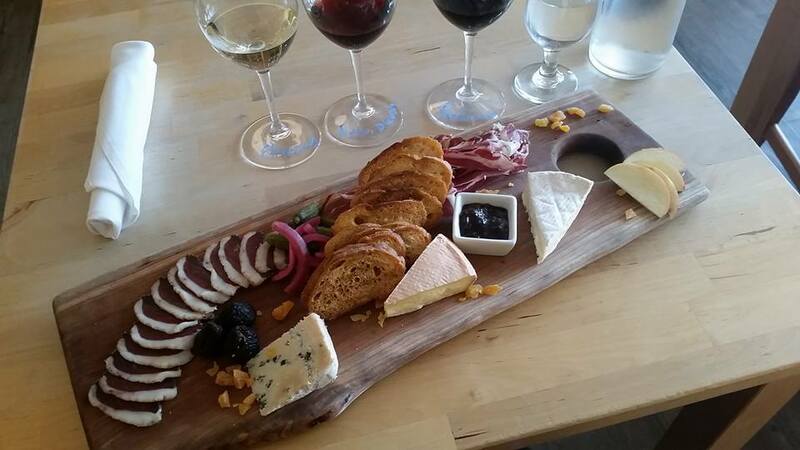 Was not disappointed when I asked the staff to select cheese, meat and a wine flight for me. Any of their creative signature dogs are great, and they make an amazing lobster roll. There's also craft beer and milkshakes. What's not to love? There are always a bunch of food trucks along this stretch on weekdays, and often on weekends too. Great for when you're hungry after exploring the nearby Smithsonian museums. Yeah, another José Andrés restaurant. I have a foodie crush on José. It doesn't help that I once hosted the national pledge event for his now ended PBS series, Made in Spain. He was a charming in real life as he is on television. Jim Anderson and I had a great meal of Mediterranean mezze (small plates) here that is documented here. We've since been back several times and it's always lively and great. This post first appeared on Alice's Restaurants blog. All photos by me.